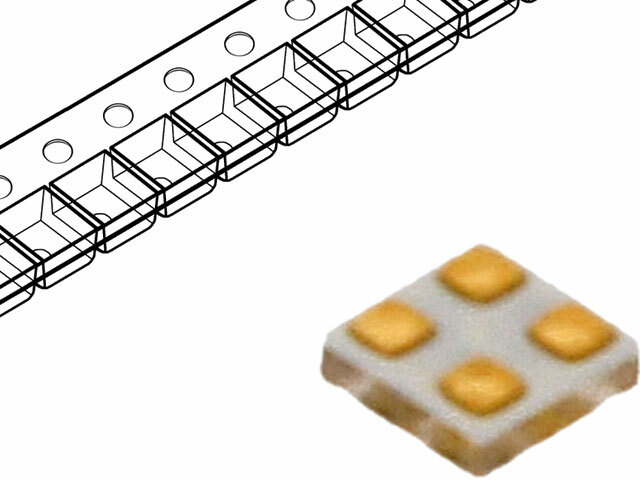 TME offer includes miniature LED RGB diodes from KINGBRIGHT ELECTRONIC. These diodes are manufactured with the use of CSP (Chip-Scale-Package) technology. Due to their miniature size, low forward current, better heat dissipation and wide viewing angle, Kingbright LEDs are a perfect solution for most lighting applications, where concentration of a great number of diodes while maintaining the same geometric size of the light source are required. Discover the full offer of KINGBRIGHT ELECTRONIC LED diodes available at TME.